We start on Sunday 24th March and finish on Tuesday 16th April. 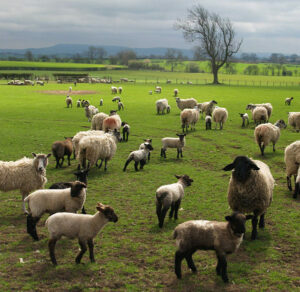 Try a Farm activity break with a difference – John and Mary Pearson at Lovesome Hill Farm, Northallerton, invite you to stay on their working farm during lambing time. This is very much ‘hands-on’, and you can do as much or as little as you like under supervision. The 2 day lambing break is done in very small numbers so early booking is advisable to avoid disappointment! Our Masham and Mule Sheep are due to be scanned soon. Bring your wellies and working clothes and work alongside Farmer John. After a comfortable night’s sleep you will start your day with a hearty cooked breakfast provided by Mary. 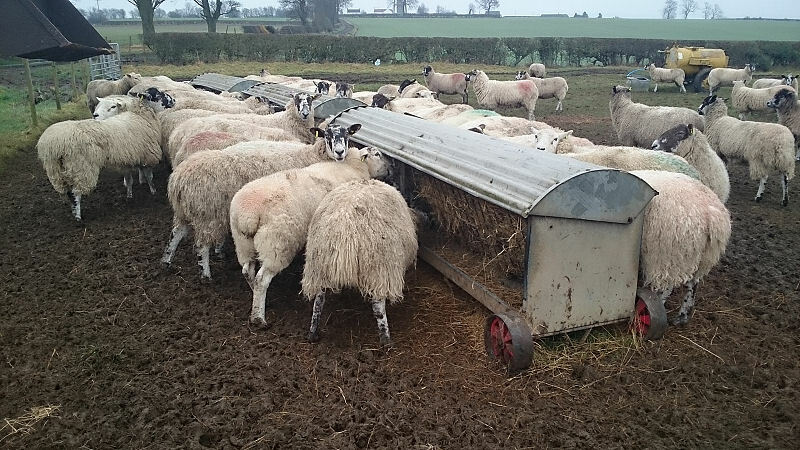 Join John outside under his supervision to feed and care for the sheep and lambs… hopefully seeing the birth of a spring lamb or two! Join us at lunch time to enjoy home-made soup and sandwiches. In the afternoon continue your duties (there may be some free-time to go for a walk around the farm) or relax… When all the animals are fed and you have built up an appetite tuck into a home-made casserole and sweet. Please bring with you suitable outdoor clothing due to changeable weather conditions (wellies and overalls). Sorry, no pregnant women (health reasons). Sorry no dogs due to possible increased stress levels to sheep. Sorry no children under the age of 10yrs of age. Welcome to our working farm – we hope you enjoy your break. Please make sure you read the following guidelines…. Make sure you wash your hands thoroughly with the anti-bacterial soap provided. Do not go into buildings unless accompanied. Please be aware around the farm there are uneven floors. If equipment is being used keep a safe distance. Only enter pens if and when instructed. No climbing on any gates or pens. Rubber gloves are available in washroom and lambing shed. First Aid Kit can be obtained first door on right through the back farm-house back door on the top shelf. Make sure you wash your hands thoroughly before and after visiting the lambing shed. Please make sure you have read all the above and understood. Any questions please ask.